What to do to not bow strelkovaya? Radish –a root vegetable beloved by many. One of its advantages is that radishes grow very quickly. This gives you the opportunity to obtain fresh vitamins to the table in the very early stages, when other vegetables in the garden yet. Radish is a plant of short day, so it is best of aging, you need to create the right conditions., ie short day. The same factor is connected and another failure in growing radishes – when developing a root vegetable, and flower pot. To do this, every day from 19 hours up to 7-8 hours close shoots opaque black film or wooden box. Another option – you can make a removable frame covered with opaque material, such as roofing material. Under these conditions, the radish grows up to 10 cm in diameter, while maintaining palatability. If, despite all efforts, the radish is preparing to throw the arrow, try to use another old peasant method : two fingers tap on the root on top and press it into the soil, clapping along at the outlet by hand. Will be appropriate and "sacred words": "Pout, sulk, and bloom don't you dare!" 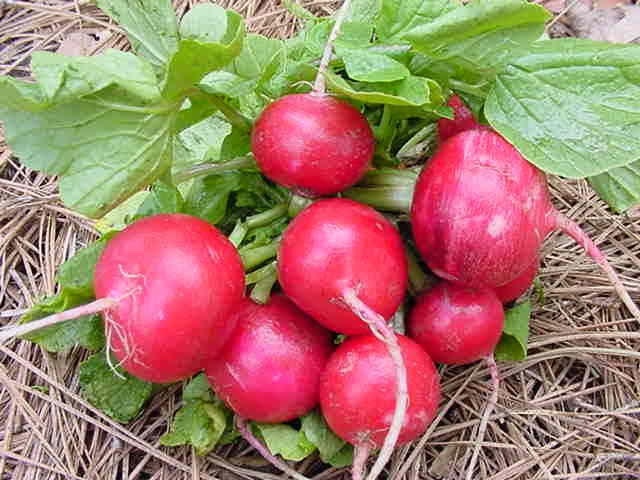 In addition, you need to remember that radishes are extremely hydrophilic and water him regularly and abundantly. If moisture is not enough, the taste is not traditional, a nice tart - spicy, and bitter. This radish to eat do not want to. Radishes - the most precocious vegetable, it appears first on the spring table. 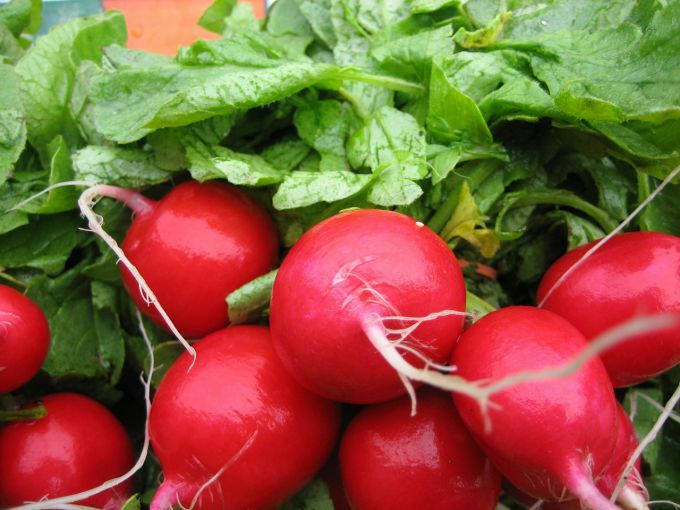 Radishes do not require special care, therefore, puts it virtually every grower. The only thing required to pay attention to when growing these vitamin root vegetables is the time and place of landing. The first reason why radishes goes to tops, is a violation of terms of planting. Radish is a vegetable of short photoperiod for normal development of the roots of this plant enough for 11-12 hours of daylight. For example, the light day in the middle zone of Russia is in the month of March, in April, daylight increases to 14 hours in may, it is already 16 hours. If daylight exceeds 15 hours, while the temperature is kept around 20 degrees and above, the radish begins to build up on the tops. To avoid such "whims" of radishes, try to plant it as early as possible, as soon as the ground warms up to around +8+10 degrees. To go to the tops of the radish can and from-for incorrectly chosen soil. Radish likes loose soil with a high content of nutrients, so before planting be sure to edit it to make humus, manure, peat or any other suitable components. Remember, radishes are well "filled with" only in neutral or slightly acidic soils. Ignoring the loosening of the soil around the radish, the lack of thinning as well as irregular watering can adversely affect the development of roots. Avoid leaving radish topper watering plants once in two or three days in hot dry weather daily and after each irrigation the soil is loosen, slide the thinning not later than weeks after germination. It is worth noting that the roots of radish can take up to 25-30 centimeters deep into the soil, so water the seedlings need abundant, otherwise the lack of moisture will trigger the release of "shooter".